The introducer kits provide reduced surgical steps and fewer incisions. The simple, intuitive tools allow doctors to confidently secure the stomach and receive clear, audible confirmation of suture lock. The kit promotes patient hygiene with easy-to-clean bolsters, and the smooth, round retention device provides patient comfort. The controlled delivery granted by the introducer kit enables one-handed, on-demand T-bar deployment and protects clinicians from inadvertent needle sticks. The AVANOS* Introducer Kit for Jejunal/Gastric Jejunal Feeding Tube provides physicians with an innovative solution to facilitate the primary placement of balloon retained enteral feeding tubes. This kit includes the unique SAF-T-PEXY* device with resorbable suture and locking bolster to secure the stomach to the anterior abdominal wall. Also provided is a serial dilator with an incorporated peel-away sheath to facilitate procedural efficiency and eliminate the need for multiple exchanges. The kit provides an over-the-wire stomach measuring device to more accurately measure the stoma length, ensuring a proper tube fit and enhance patient comfort. Safety needles come pre-loaded to protect health workers from inadvertent needle sticks. 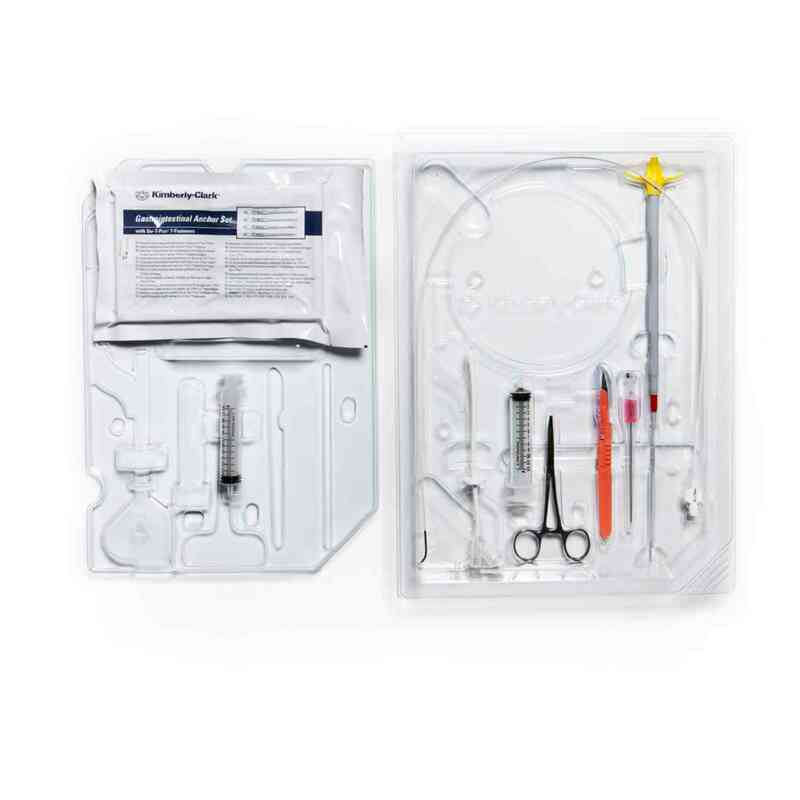 Additional components of the introducer kit include two 12l syringes, 5Fr Seeking catheter, an #11 scalpel, and a dilator.The kit comes sterilized with EO. It is intended for single-use.